One of the great classics of Mahayana Buddhism. In February/March 2000, during a six-week stay in the hills near Dharamsala, India, the little Tibet of northern India and exiled home of the Dalai Lama XIV, I attended the two-week long public teachings given by His Holiness. I purchased many Buddhist texts, including this highly recommended one. I read a few, but did not read Shantideva. I focussed on personal enlightenment and not on the benefit of others. Fourteen years later and maybe I am ready to begin the path for the benefit of myself, and others. The Way of the Bodhisattva was written over 1200 years ago. Its relevance to mankind has not waned. The book is a guide to cultivating the mind of enlightenment, and to generating the qualities of love, compassion, generosity, and patience, qualities ever in need. Presented in the form of a personal meditation in verse, it outlines the path of the bodhisattvas–those beings who renounce the peace of an individual salvation and vow to work for the deliverance of all beings, and to attain enlightenment for their sake. Originally written in India in Sanskrit, the text first appeared in Tibetan translation in the eighth century. It has been expounded, studied, and practiced in Tibet in an unbroken tradition since then. 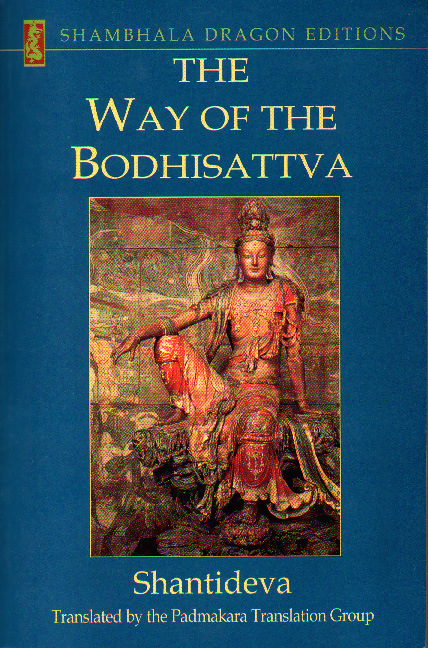 This version of The way of the Bodhisattva is translated from the Tibetan. More of what I have read can be found under INFLUENCES. After reading and meditating on this text over several years I can’t help thinking it is almost a complete spiritual guide in itself. The book is known for its exposition of the compassionate path, but it just keeps going right through to the conclusion. Good luck with the text. Reblogged this on Fearless Expressions.